For nearly 2,000 years the New Testament has been loved, hated, treasured, criticized, believed, derided, read and studied, sometimes even died for. Few believers would ever question its importance as the authoritative documentary basis for the Christian faith. Yet the message of the New Testament has not always been clearly understood, even by those who have read and reread it. In this book -- now a modern classic -- the most respected evangelical scholar of the past generation guides readers to a clearer understanding of the New Testament's message. Beginning with Mark and proceeding through Paul's epistles, Luke and Acts, Matthew, Hebrews, the general epistles and gospel, F. F. Bruce looks at the individuality of the New Testament writers and explains the distinctive contribution their book or group of books makes to the overall message of the New Testament. 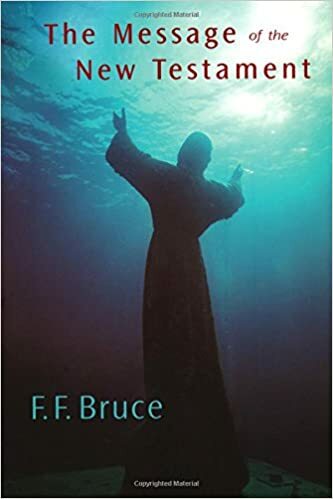 By concentrating on major themes and not fine detail, Bruce succeeds in presenting the central teachings of the New Testament in a compact way. As his profound yet highly accessible scholarship demonstrates, though the New Testament is diverse in both form and content, it nevertheless communicates powerfully the unified witness that Jesus Christ is Lord.